Last week I wrote about using coffee grinds in your garden. 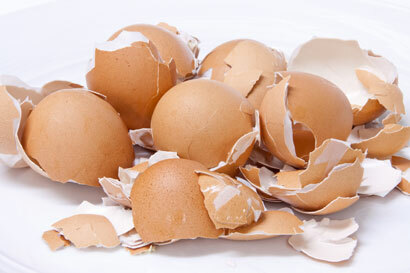 This week it will be about egg shells. They are a great snail or slug deterrent. If you notice your plants being eaten by or see trails from slugs or snails, coarsely crumble the shells around the plant that is being eaten. The slugs and snails sensitive foot will be injured and they will steer clear of your plants. If you notice deer chomping on your plants, scatter broken shells in and around the plants. Deer do not like the smell of albumin and tend to stay away from an area that smell like raw eggs. Sprinkle crushed egg shells around and into the soil for your tomato plants. The added calcium will help to stop any blossom end rot.